produce you don't get at Coles and Woolworths. Dentsu Mitchell multicultural director Masheila Pillay believes the major supermarket chains suffer from an “on-off” approach to reaching ethnic communities. The classic example that Pillay and others have cited throughout the day is that brands only appear at Chinese New Year and Diwali. Multicultural marketing and ad agency MultiConnexions carried out research with a large grocery chain on a Muslim audience. 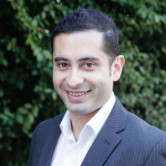 “There are suburbs like Auburn where 43% of the population is of Muslim faith,” MultiConnexions client services director Georgina Lionatos says. “If that not a reason to look at your local area and what your customer base is then I don’t know what is. “They have specific needs around their halal product that everyone is aware of but they are so specific that the mantra is ‘if in doubt, don’t buy it – go somewhere else’. “There’s a real way in with grocery chains in those areas that want to engage with Muslim audiences and it makes commercial sense. Be clear, be trustworthy, clearly mark things and if you can’t do it well then don’t do it. Other Sydney suburbs with large ethnic populations are Parramatta, 35% of its population is South Asian, and Hurstville, which is now 40% Chinese (see map below). “These are big areas and I think that retail marketers who are not look at the culturally makeup of the areas where their retail sports are located are really missing a trick,” Lionatos says. This map shows the largest immigrant populations by area in Sydney, illustrating cultural diversity. Courtesy of SBS. Etcom managing partner Lou Petrolo recalls working with a major supermarket chain who thought they were losing ethnic customers on price. “So they tried to price match what the others were doing but [price] wasn’t the problem,” he says. “It was store layout. They didn’t consider bigger families that like to buy in bulk so rather than picking two or three items off a shelf in a box, they wanted [large] bins. They wanted to be able to get in there and feel the produce and experience the product and feel like they are getting good value. “Just by making small changes to the layout and understanding that at Ramadan instead of selling one box of dates, you have 10. It’s not just about putting in specific cultural products but understanding the make-up of your audience and stock levels. It’s a full year commitment. Petrolo believes when the local supermarket start seeing the results they’ll be going to head office and asking to invest more in local area marketing because of traffic coming through. Sydney's Vietnamese community. Photo: Arvind Hickman. Earlier in the discussion, panelists were asked how a government department could more effectively reach ethnic communities to promote health information about a children’s vaccine. Pillay, who has worked with on Dentsu Mitchell’s Federal Government account, says it’s important to work out why messages aren’t getting across. “A lot of marketers assume younger audiences [from ethnic communities] can understand English so there’s no need to be targeted. But within certain communities [particularly Asian], grandparents have a huge influence over family decisions,” she says. Lionatos adds that ethnic communities are highly targetable through community-centric festivals and gatherings. “The most influential touchpoints where they are receptive is at their own community events, however it doesn’t mean you would necessarily go to Diwali with a vaccine message,” she adds. Identity Communications managing director Thang Ngo, who moderated the panel, said that multicultural audiences want to know the costs and benefits in creative messaging. Blackmores has benefited from the daigou network and uses tennis star Li Na as an ambassador. The third question tackled by panelists focused on a vitamins company that had been tapping into China’s daigou network of shoppers, who buy Australian products and send them back to the Mainland. The network of 40,000 to 60,000 shoppers has become increasingly prevalent and stirred up controversy two years by emptying baby formula stocks in Australia. Regulations in China have slowed the growth of using daigou as a distribution channel in the past year, affecting Australian vitamins companies like Blackmores (pictured above). Petrolo points out that when tapping into the daigou network, reputation and advocacy are more important than brand. Ngo suggested targeting the Australian market and using local Chinese as influencers to introduce Australian brands overseas. Jokovic points out research is important and that the Chinese audience in China motivated by different factors to the Chinese audience in Australia. Keep an eye on AdNews for more from the event, which was sponsored by Val Morgan, Multi Connexions and Epoch Times. If you are keen to get involved with any of next year's half day AdNews events drop us a line. Thang Ngo, Georgina Lionatos, Masheila Pillay, Lorraine Jokovic and Lou Petrolo. Australian supermarket giants are “missing a trick” by not reaching out to ethnic communities but don’t need to fill their shelves with halal and other culturally focussed products to be relevant. 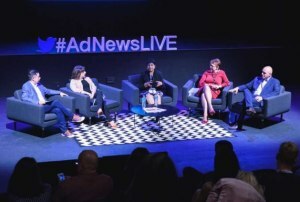 That was the unanimous message by a group of multicultural marketing experts at the AdNews Live Reframing Australia event yesterday. The session sought to find three solutions to real-life marketing problems that brands face when reaching ethnic communities. The final one focused on how Australia’s major supermarket chains, Coles and Woolworths, although neither was named, could better reach ethnic communities to drive sales. “We know [ethnic communities] are not all mainstream grocery brands,” Loud Communications Group CEO Lorraine Jokovic said. “I’ve had this discussion with a number of large grocery brands and they have always said it’s a problem they can’t solve because it’s a product and distribution problem. “They believe they can’t put the heartland product for certain cultures within their stores. It’s got to be pretty much benchmark products across [all supermarkets] with a couple of variations here and there. Jokovic points out that Aldi built its profile in Australia by “tapping into the multicultural markets”. There are also several specialist grocery stores like the “sensational” Korean grocery store Komart taking away customers from the likes of Coles and Woolies. She believes that supermarkets need to do research on the local ethnic profile of a community, find out the products that they want to buy and then promote these in language in catalogues and other local channels. “I find this frustrating because it’s a sitter for grocery chains who have the wrong view of what the problem is,” she adds.